Enter your VAT on Sales to Government straight into your JuanTax account. 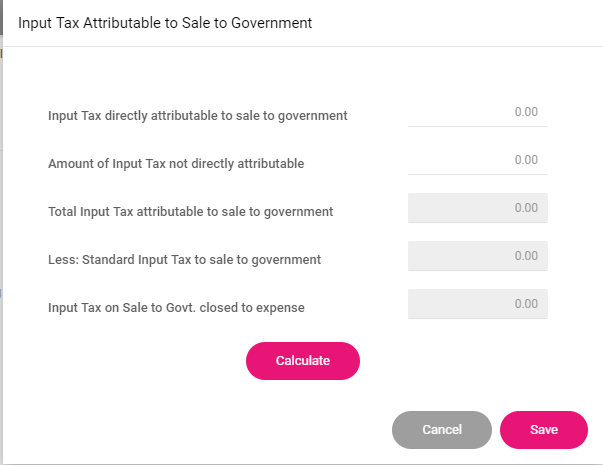 In order to access Input Tax on Sale to Govt. closed to expense (Schedule 4), you should first go to Summary, then click the Edit Schedule 4 button. Enter your numbers in the appropriate text boxes then hit Calculate to get the amounts. Click Save button to save your changes. Visit this article for you to learn how to apply this process in Xero integrated version of JuanTax.